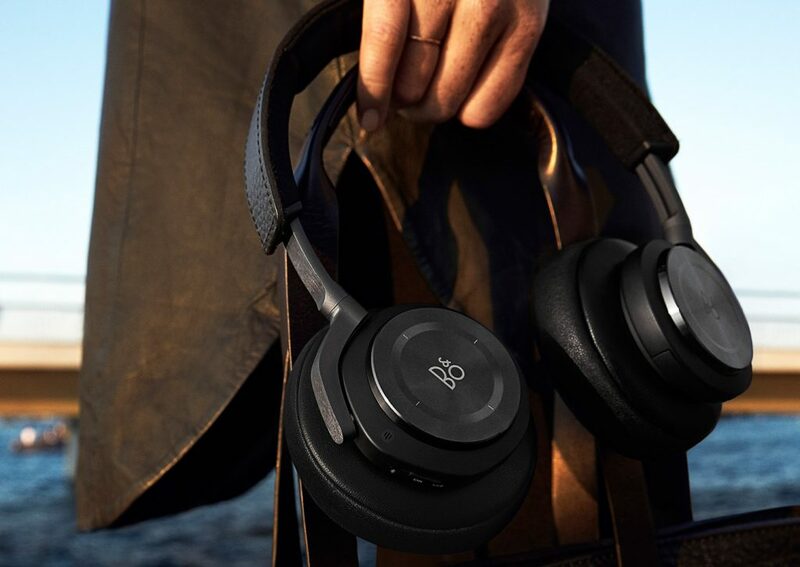 Bang & Olufsen’s consumer headphone brand B&O Play has released a successor to the on-ear Beoplay H8 headphone. The new B&O BeoPlay H9 provides better comfort and audio quality due to its over-ear design and noise cancellation feature. The active noise cancelling feature can be activated by a swipe on the touch control located on the right ear-cusp and ensures excellent sound regardless of the level of background noise. Other handy features are volume control (up/down) and music playback. It’s also possible to manage phone incoming phone calls using Bluetooth. Battery life is a concern for B&O Play’s headphones. Turning on both of the power consuming features Bluetooth and active noise cancellation yields 14 hours of usage. The batteries used by Bang & Olufsen BeoPlay H9 are replaceable, so bringing additional batteries along when travelling is a good idea. Alternatively, attach the audio cord to keep listening. The earpads feel soft due to the lambskin and cowhide materials employed. The weight of H9 is only 295 g, which is quite light for an over-ear headphone thanks to the sleek design by Jacob Wagner and the light-weight aluminium frame. Bang & Olufsen BeoPlay H9 retails at US$499, which converts to NZ$830 inclusive of GST. The headphones are available in Argilla grey and black colours. Bang & Olufsen thereby decided to ditch the popular red colour that BeoPlay H8 offered.